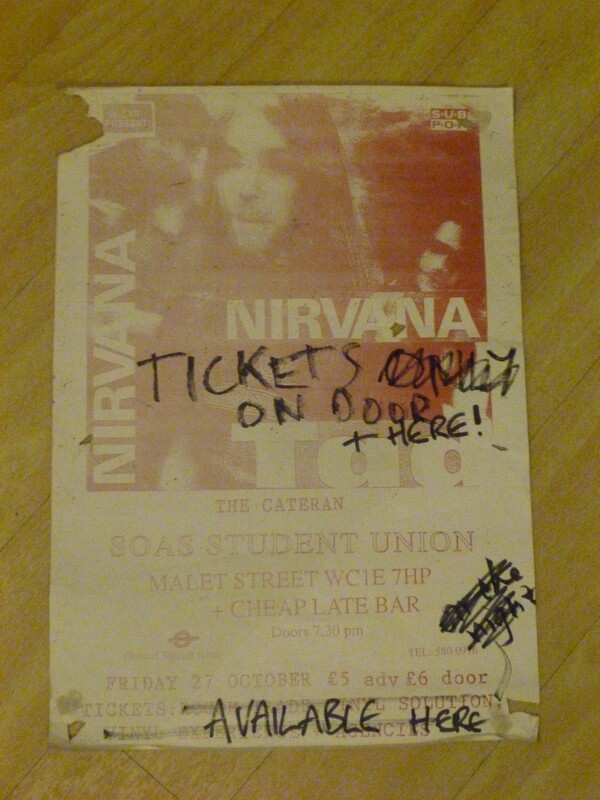 As promised, this is the indie nonsense from the Nirvana gig at SOAS in October 1989, and the very last indie nonsense of 2013 (promise). I’ll put my hands up and admit that this wasn’t actually inside The Cupboard of Indie Nonsense, but hanging on the wall nearby, but it’s still indie nonsense, and it’s my blog so I’ll do what I like anyway. For this gig I distinctly remember being front and left with three Japanese girls who used to go to everything; Masami, Tamami and Saho. Man-mountain Tad supported (headlined? I don’t know). It was very crushed and everyone was really excited because we’d all been listening to Bleach, the best Nirvana album – FACT. This was pre-Dave Grohl, when Chad Channing (otherwise known as Cousin It) was drummer. 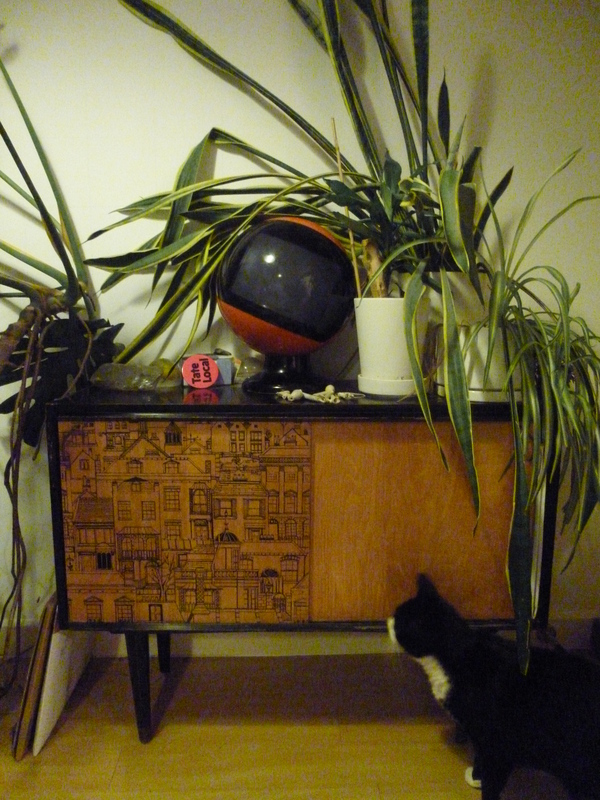 And now it’s time to close the cupboard door and wave bye bye to The Cupboard of Indie Nonsense. It’s been fun but all good things… and all that. I’m off on my hols, and my hols almost always involve archaeology, so if I get the chance to post while I’m out and about, it’ll be about stones and bones. This entry was posted in Music and tagged indie nonsense, Nirvana. Bookmark the permalink. I tried to write you a comment and I’m not sure if it worked so I will do it again and I’m sorry. To recap- SOAS is doing a huge exhibition for their centenary celebrations in 2016. My professor is curating it and she would love to see some Nirvana memorabilia from this show in the exhibition. Can she get in touch with you? I’d be very interested in talking with your Professor about this exhibition. She can contact me at boxfullofstuff@yahoo.co.uk in the first instance. Great, I’m passing on your details to my prof! Tell me if you don’t hear from her soon.